The title of Stéphane Kouchian’s new project, sounds like a slogan. 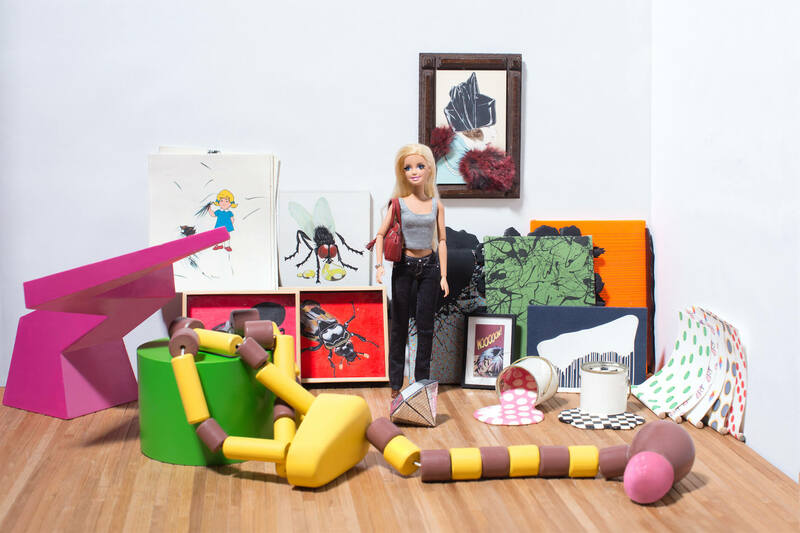 Kouchian uses his art to subvert the logic behind the famous Barbie doll set, which gets an updated version. 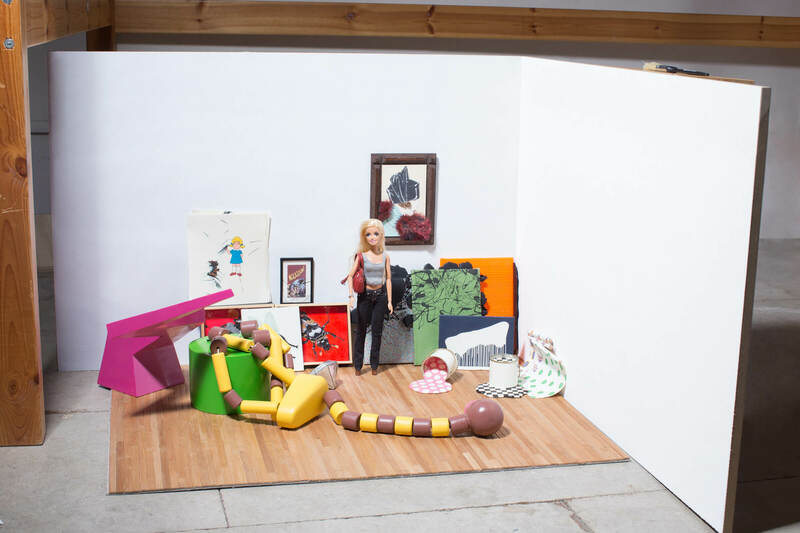 Started in 2008 and conceived like a complete set, the work consists of several architectural or artistic elements that recreate a White Cube in an imaginary museum. 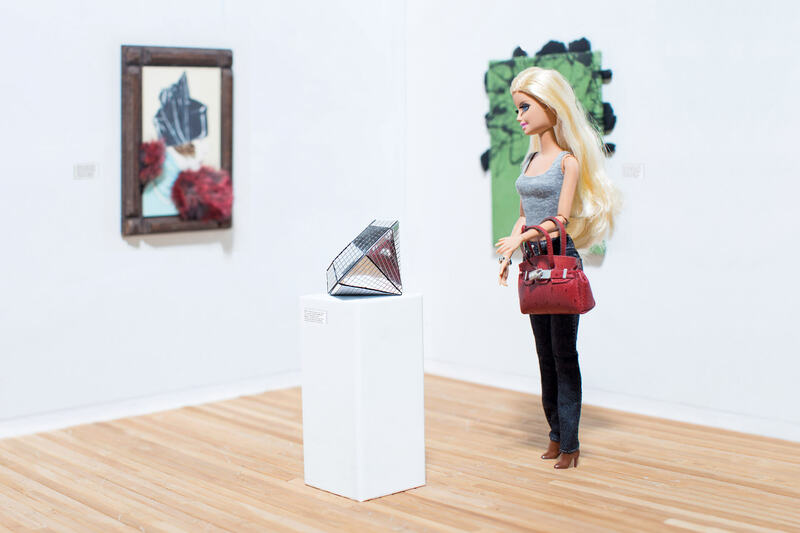 In this small-scale museum space, the artist makes the icon his own, setting her against miniature versions of his own works. 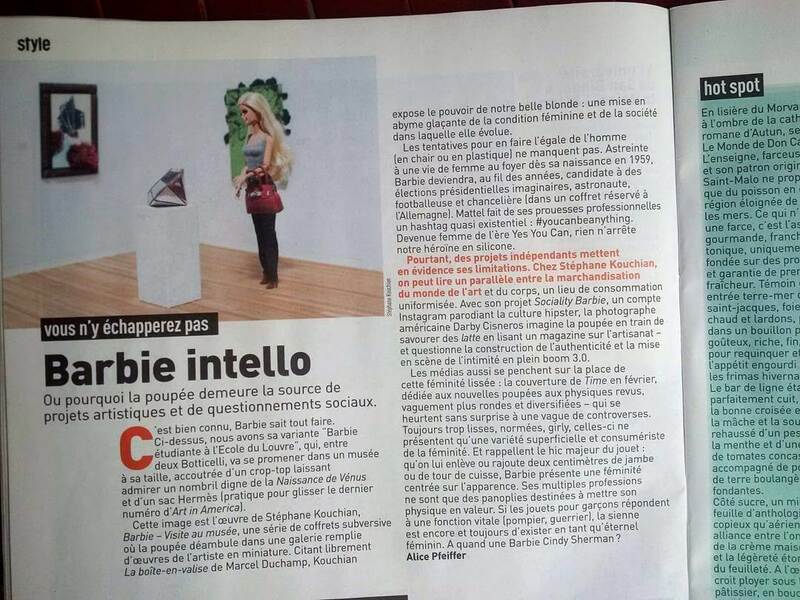 Barbie, Visite au musée (Détail) - 2008-2016. Matériaux divers - dimensions variables. 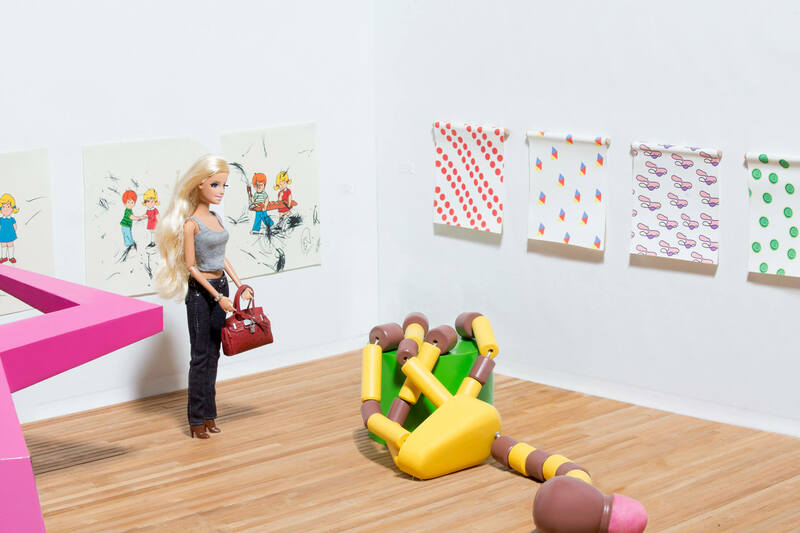 With "Le musée des Arts Décos" in Paris.